MP denies James Blunt arts 'envy' claim Jump to media player A Labour MP defends his call to support artists from poorer backgrounds as singer James Blunt accuses him of teaching "the politics of envy". Working-class 'priced out' of acting Jump to media player Actor Will Mellor tells BBC Breakfast he is "proud" of his working-class roots, amid warnings that young actors from poorer backgrounds are being "priced out" of the profession. James Blunt on Twitter put downs Jump to media player James Blunt has waged war on Twitter trolls by targeting them with witty one-liners. A Labour MP has defended his call to support artists from poorer backgrounds after singer James Blunt accused him of teaching "the politics of envy". 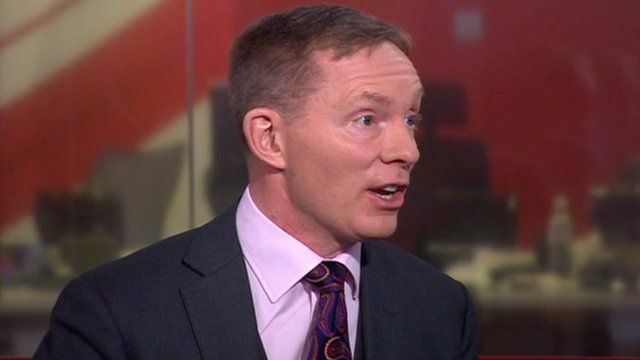 Shadow Arts Minister Chris Bryant was attacked by the Harrow-educated star for "envy-based, vote-hunting ideas". The Rhondda MP had said culture should not be "dominated" by people from privileged backgrounds, like actor Eddie Redmayne, James Blunt "and their ilk". Blunt claimed his background had worked against him, saying many people considered him "too posh" for the music industry. The Rhondda MP told BBC News on Tuesday that he did not want to "pull anyone down" for their success, but wanted to remove the barriers that stopped poorer people making the most of their talent.